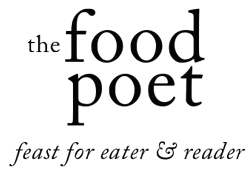 So, imagine my dismay in sharing this recipe with you right as the season is ending. It’s a rather cruel jape, but believe me when I tell you that this recipe is so easy to prepare, you will beat the coming of spring in earnest as shoots of green pop out of frosted earth, evidence of what has been hibernating underground. Or if you’re in Texas, when the sun has already begun its ploy of heating things up at 80 degrees in February. You have time to squeeze out at least one shot to make this fine salad. This preparation feels a bit like a cheat, something that might make you wince in familiarity or blink to make sure you stole an appropriate gander at the short list of ingredients in a game of made-you-look-again. The thing is I happen to like simple food and nine times out of 10, if you happen to come over for dinner chez nous, you will find yourself the recipient of simplicity on the plate… with maybe a few exotic accents for a bit of flair and intrigue. Let’s just say 007 and I share that in common. The type of intrigue dished up here finds its genesis in Mexican, Tex-Mex or Cal-Mex restaurants. When a plato fuerte indicates salad as a component of the hearty main dish, I can already envision limp lettuce leaves torn with a necklace of chopped tomatoes placed atop. This type of ensalada has no intention of stealing the show. 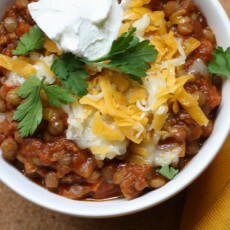 In fact, it brings a small mound of color to the plate as well as cool, fresh texture. This style of inclusion reminds me of Costa Rican Casados, where the point is how that little bit of ensalada will snake its flavor and texture into other items on the plate. At an Italian restaurant, usually, the salad is reserved as its own course in the meal like a stop on a putt-putt course, where after you hit the golf ball into the hole in the ground, which in this case is your gullet, you then progress forward to the next course. 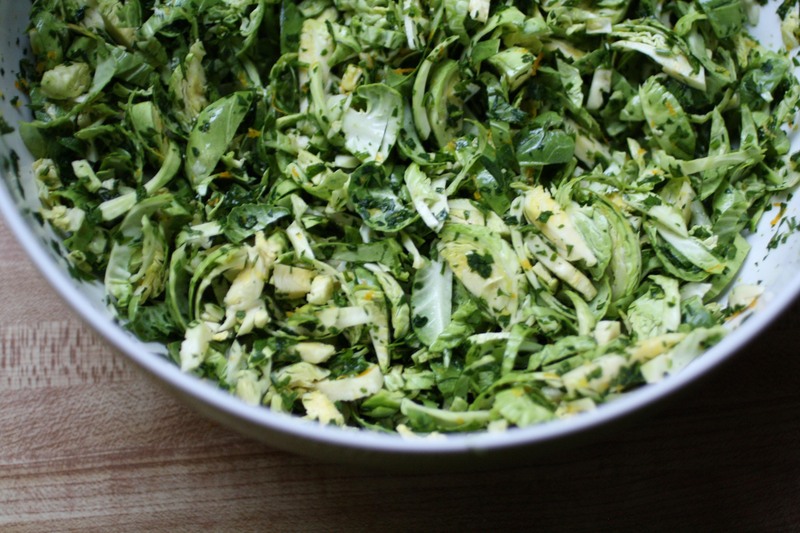 To switch things up and don a bit of flair, behold the Ensalada Gremolata. This is my twist on bringing the more-than-a-garnish salad onto the same plate in the style of the plato fuerte. Like most things, this ensalada came about by necessity. Pasta happens to be one of my comfort foods and somehow my propensity of gauging proportions from eyeballs to stomach can be deceptive. My eyes can be tricksters. It might be the pleasure of twirling noodles around the tines of a fork and then chewing the al dente strands slowly. One evening, I made way next to a highly skeptical mound of steaming Pesto noodles for a cheerful helping of Ensalada Gremolata. The Ensalada then found its way into the hearts of chicken enchiladas the next night too. And that friends, is the beauty of Ensalada Gremolata. 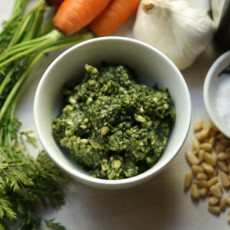 Gremolata should be a tool in your cooking back pocket. Perhaps it already is. Three ingredients give you an unforgettable seasoning trio. Pluck a lemon off a lemon tree or nudge a slightly firm one from the lemon bin, rolling it around in your hand to loosen the juices inside until fingers find a bit more give when squeezing the flesh. Grab a microplane or use the smaller holes on your grater and zest the lemon until bald. Then crush and peel away the papery bits of a few garlic cloves, mincing the cloves into already coarsely chopped parsley until fine. Easy. 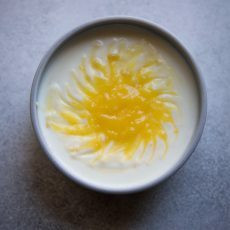 Juice the bald lemon and whisk in walnut oil for a light dressing with a bright, mellow bite. Shred Brussels sprouts and you’re ready to toss it altogether for an accompanying salad that can sneak its way easily onto most plated dishes. Since this ensalada is muy sencillo, code for “very easy”, I would encourage you to adjust the ingredients to your preference. You might find you prefer more lemon juice or a touch more oil. Then again, you might find swapping in avocado oil or a good olive oil works better for you. Maybe you might pinch and add sea salt to the mix. Taste as you toss and feel free to iterate. 1. Decapitate the Brussels sprouts by slicing off the bottoms. Then, cut the Brussels sprouts in half. Take each half and set it flat side down and begin slicing it from one short end to the other. Proceed with the others until all the Brussels sprouts have been shredded. 2. Pull off the leaves of parsley from a bunch and measure it out to around 1 cup. On a cutting board, begin to start slicing your parsley in a chiffonade, wrapping the leaves around one another and slicing uniformly from top to bottom. Once the leaves have been coarsely chopped, add to your pile, the lemon zest and garlic. Begin to mince the garlic and zest into the parsley leaves. This allows you to cut the flavors into the leaves while cutting the leaves down until minced. 3. 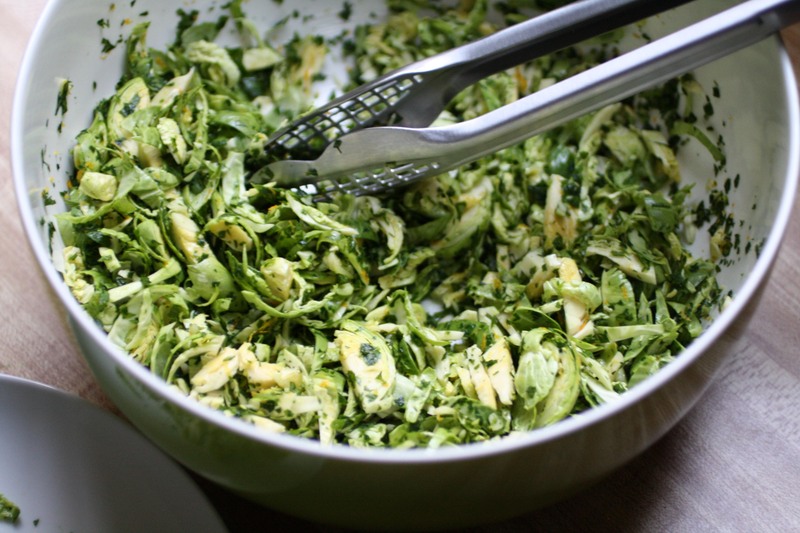 Pour your minced gremolata onto the shredded Brussels sprouts and then toss. Drizzle the walnut oil and lemon juice over the salad. Toss again. Season to taste with salt and pepper.